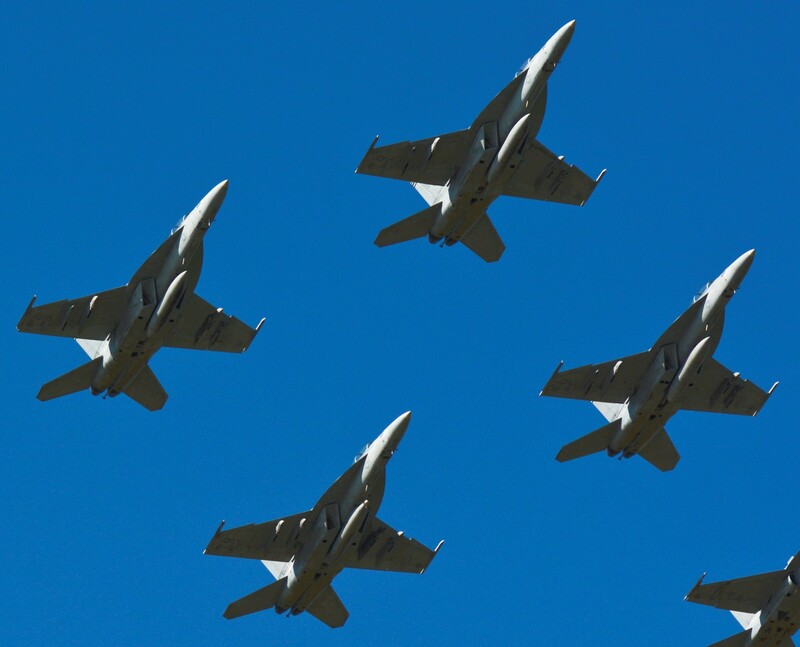 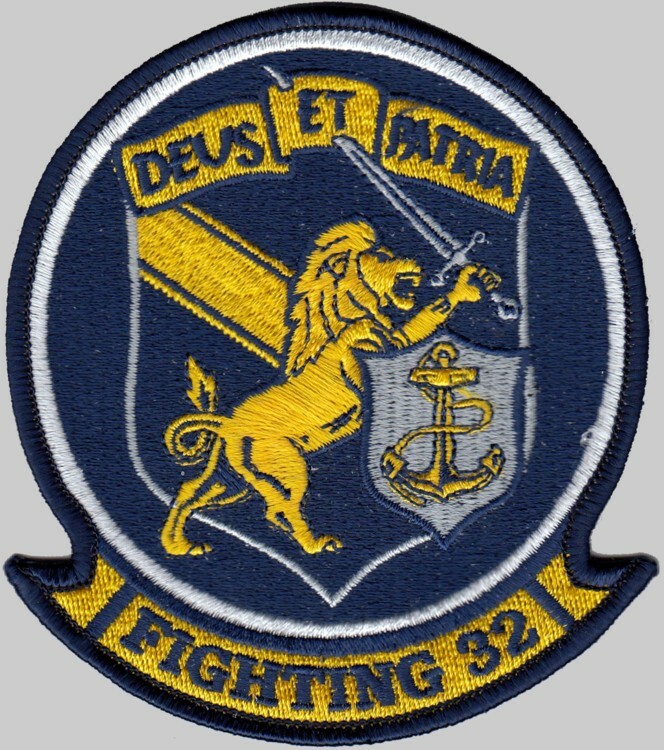 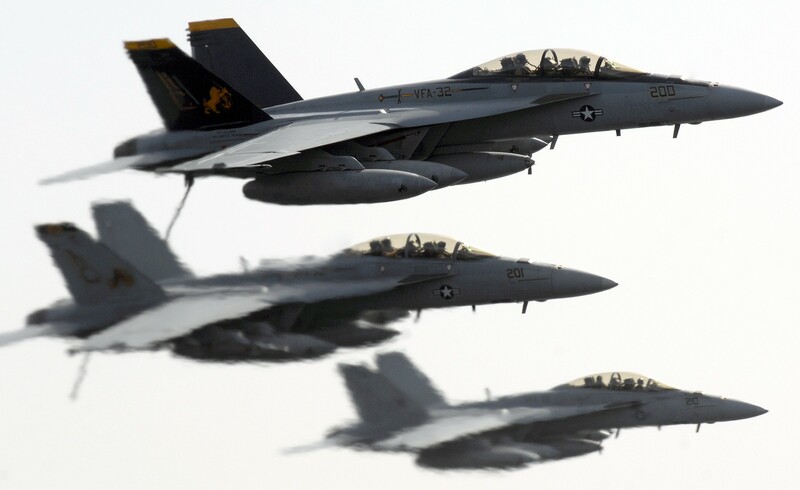 The VFA-32 Swordsmen originated on Feb. 1, 1945 as VBF-3, after VF-3 was split into two squadrons. 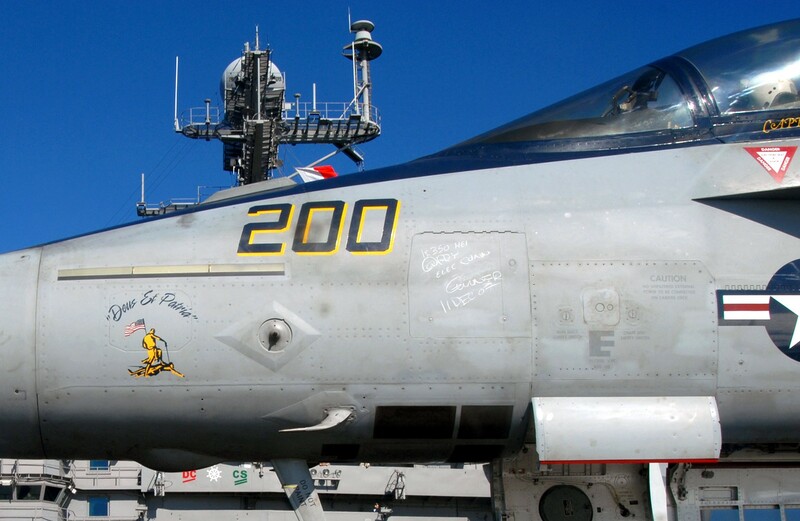 VBF-3 joined Carrier Air Group THREE onboard USS YORKTOWN (CV 10) operating in the Pacific theater. 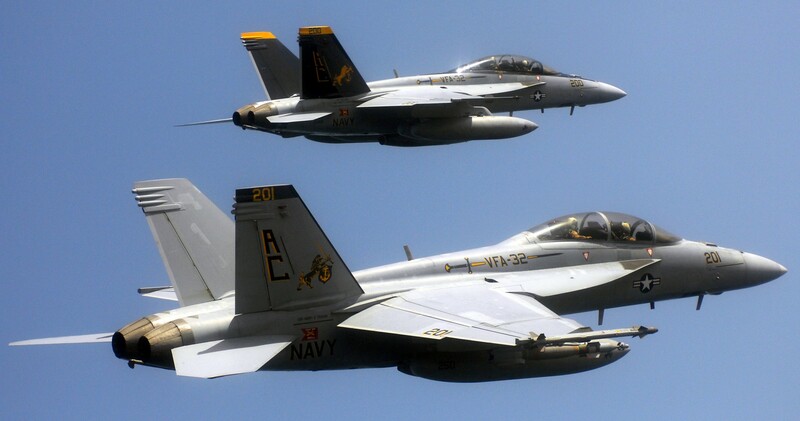 Flying F6F-5 "Hellcats", VBF-3 pilots became the first Navy carrier-based pilots to attack the homeland of the Japanese Empire. 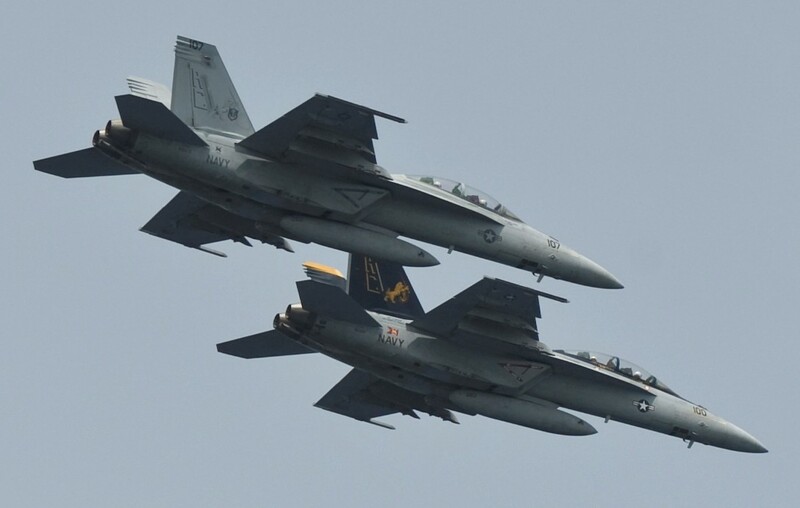 During the heavy action on that day, the squadron shot down 24 Japanese aircraft for which the Swordsmen received the Presidential Unit Citation. 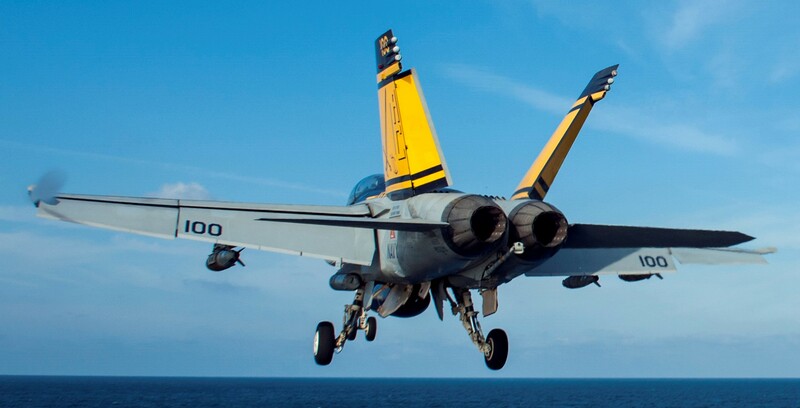 In 1946, VBF-3 transitioned to F8F-1 "Bearcats" and redesignated as VF-4A. 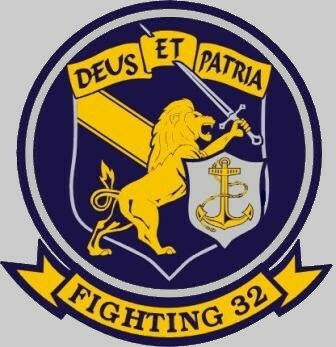 In August 1948, the squadron became VF-32, with the transition to the F4U-4. 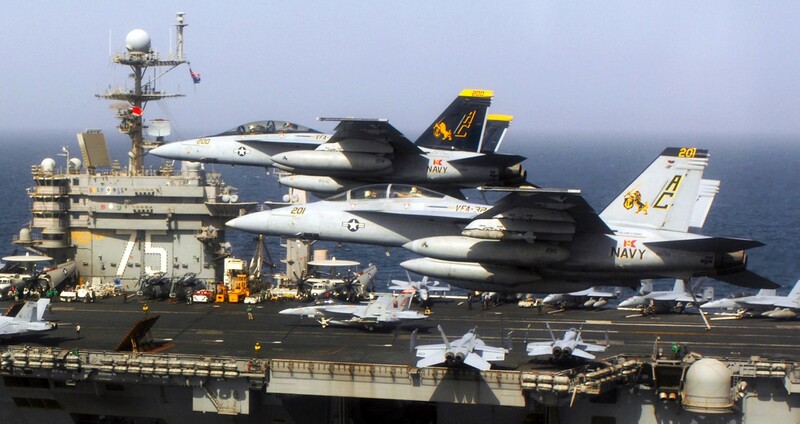 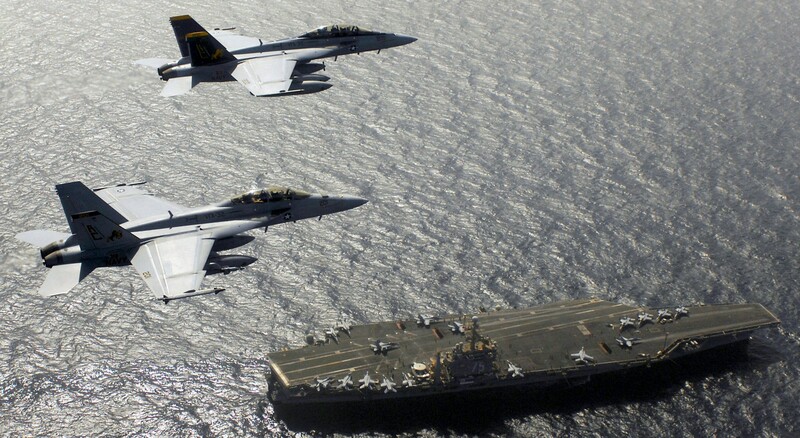 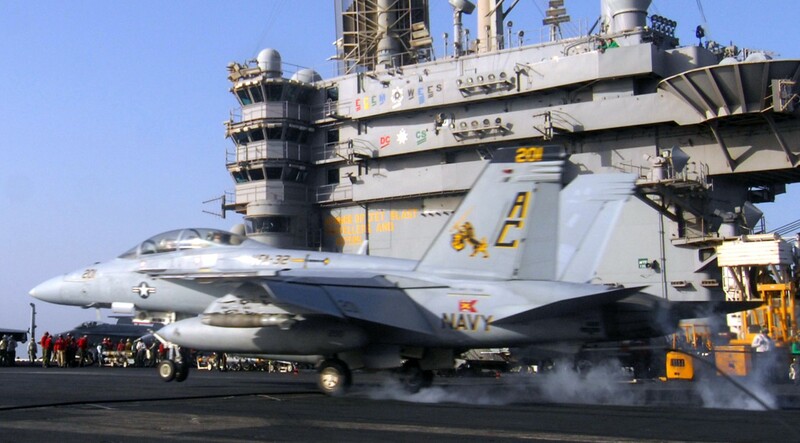 From November 2007 to December 2010 VFA-32 left Oceana and embarked on the USS HARRY S. TRUMAN (CVN-75) for two deployments in support of OPERATION IRAQI FREEDOM (OIF), Operation ENDURING FREEDOM (OEF), Operation NEW DAWN (OND) and Coalition Maritime Security Operations (MSO), providing continuous CAS and tactical reconnaissance for Coalition ground forces throughout Afghanistan and Iraq. 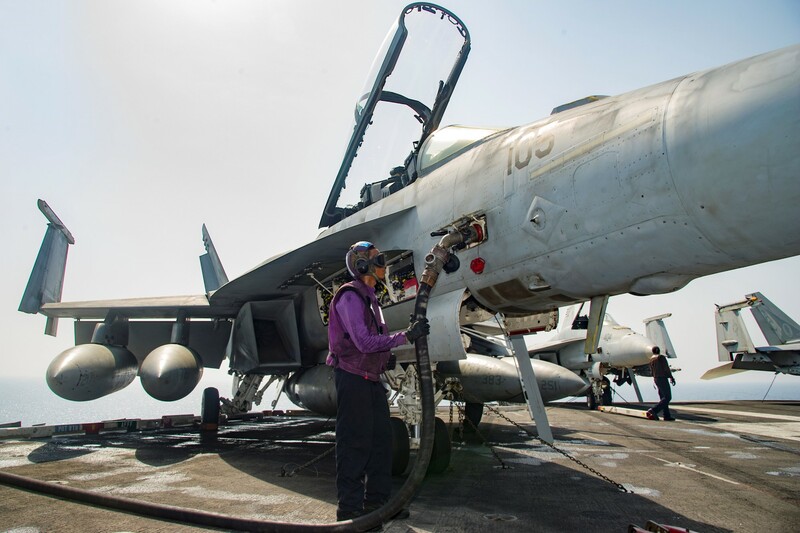 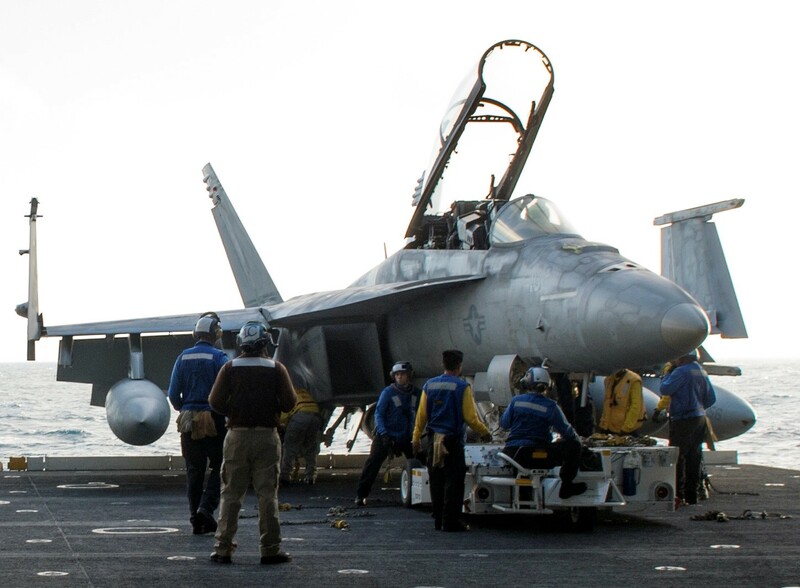 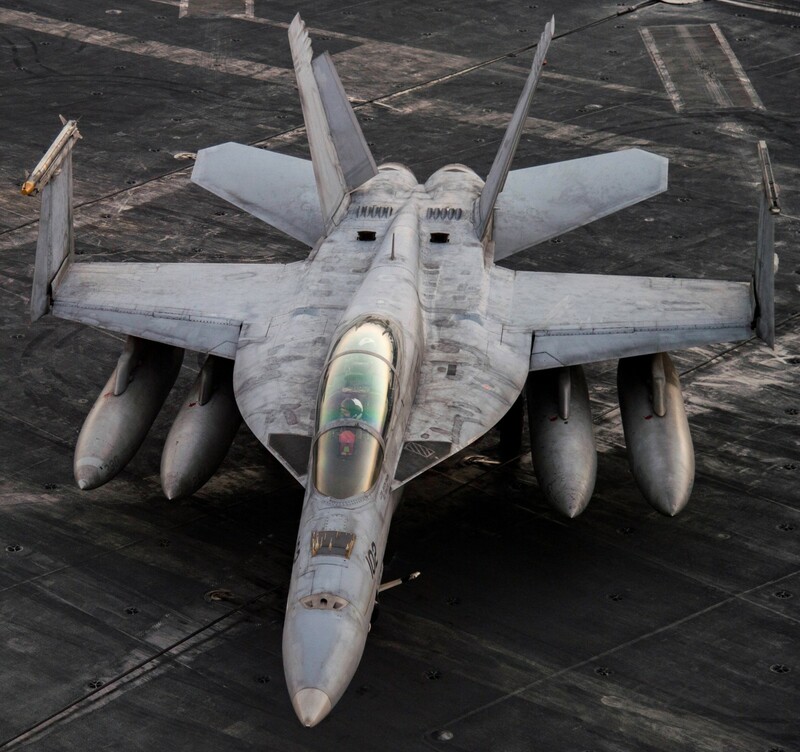 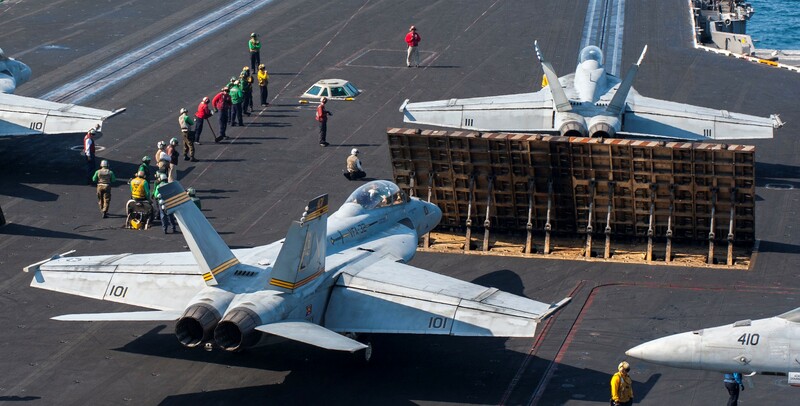 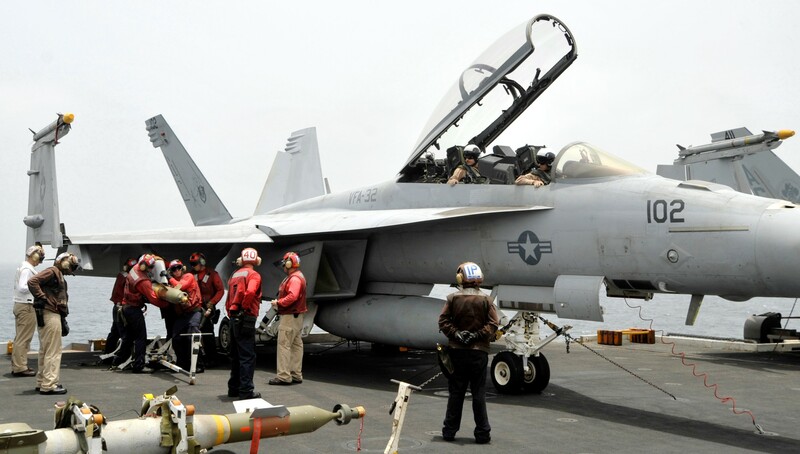 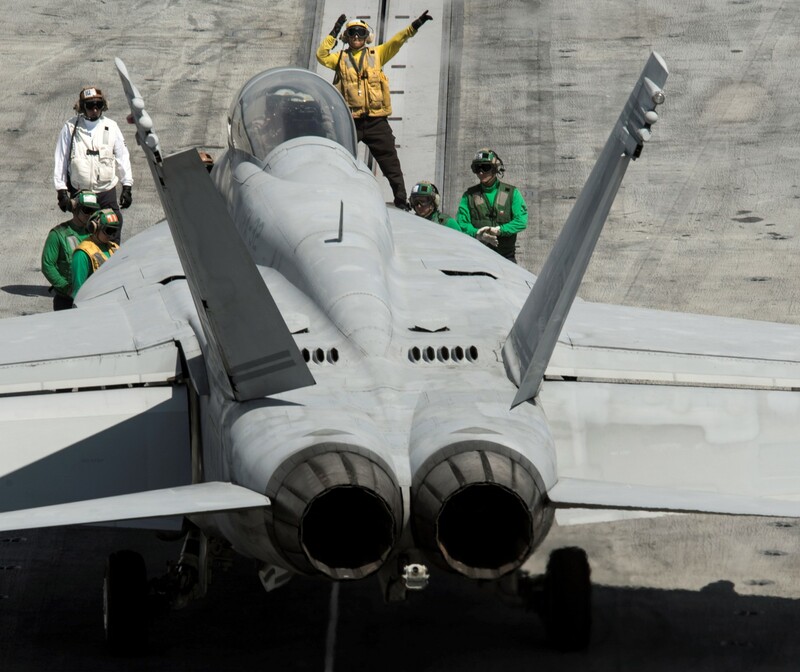 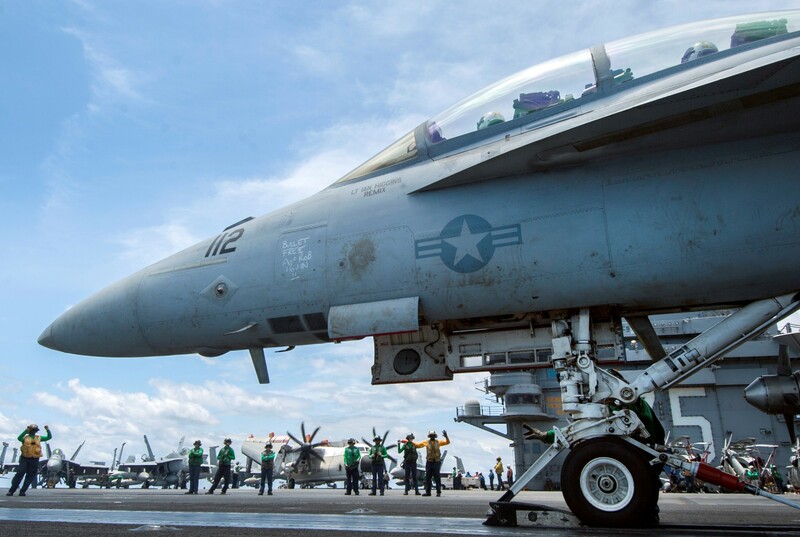 The Swordsmen maintenance professionals worked over 21,000 man-hours on 12 FA-18F aircraft that resulted in an impressive 98.57% sortie completion rate. 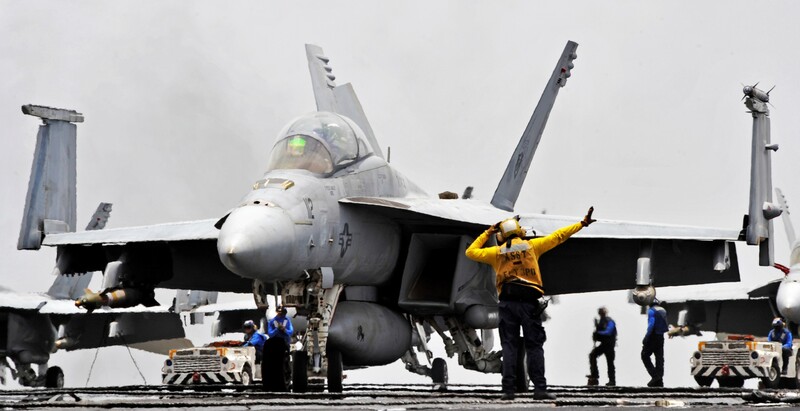 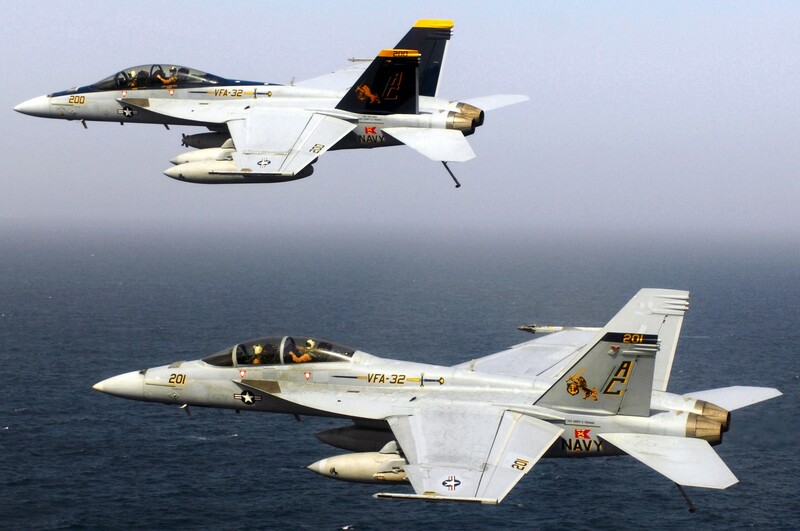 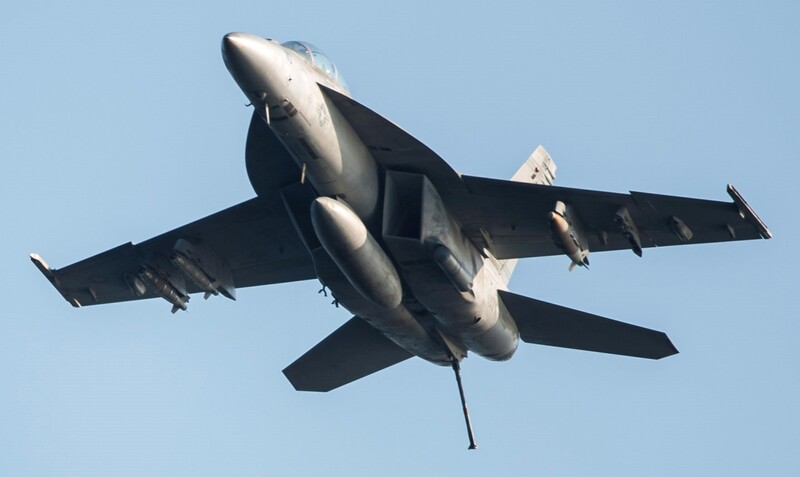 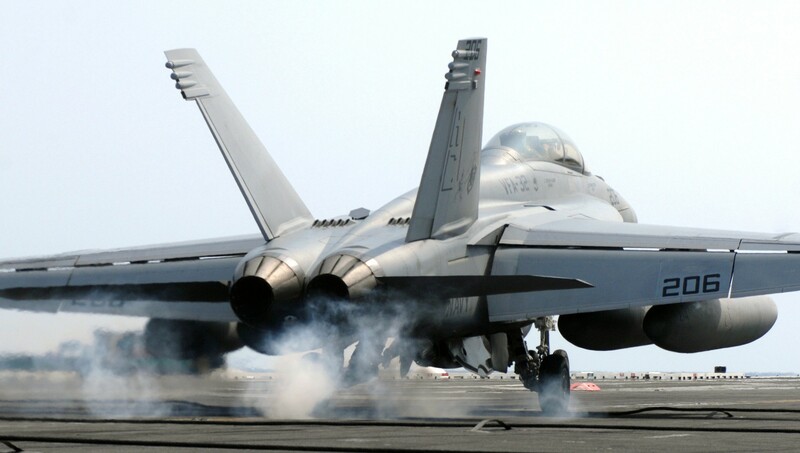 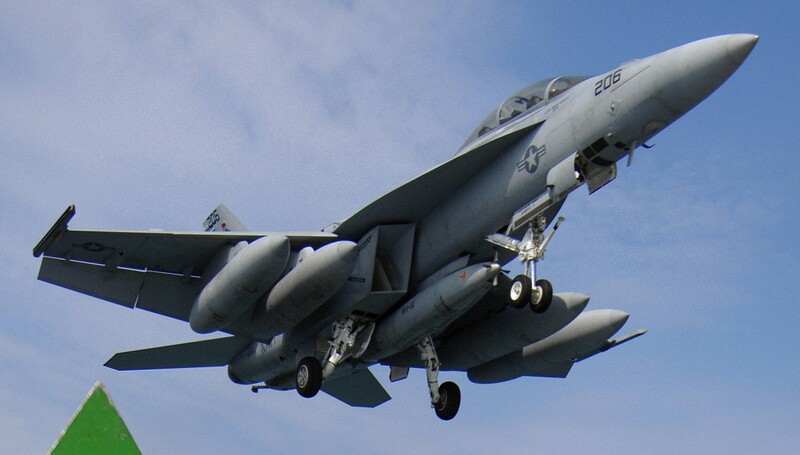 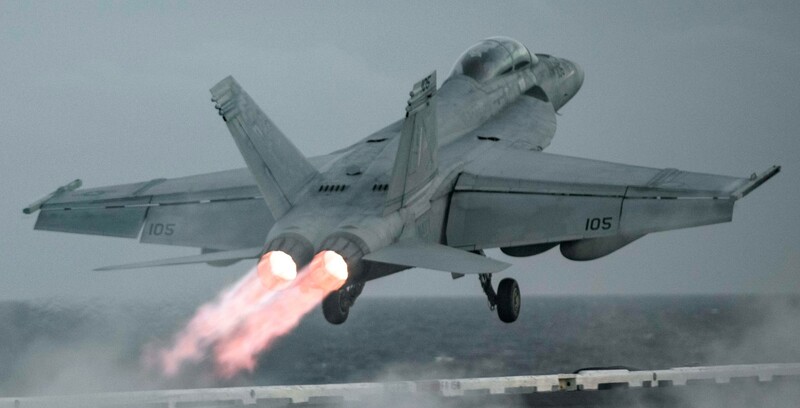 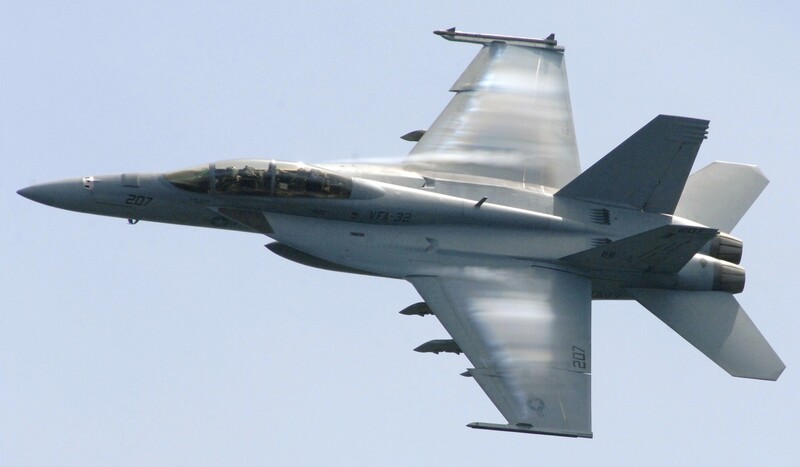 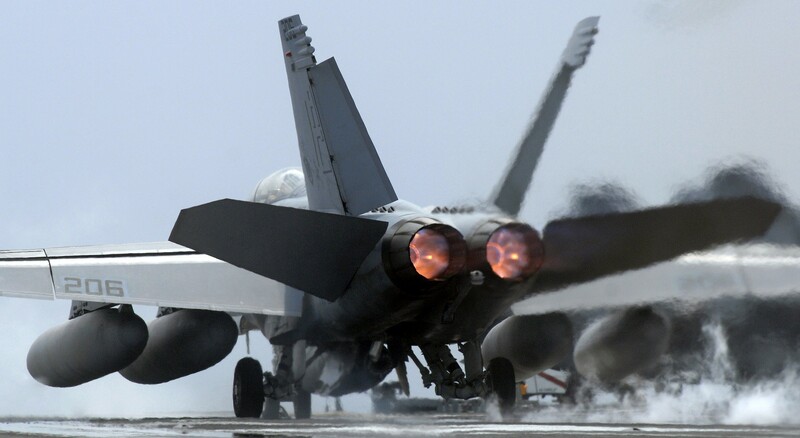 VFA-32 achieved the Safety "S" for the outstanding performance and mishap free operation during the work up cycle and deployment in 2009- 2010. 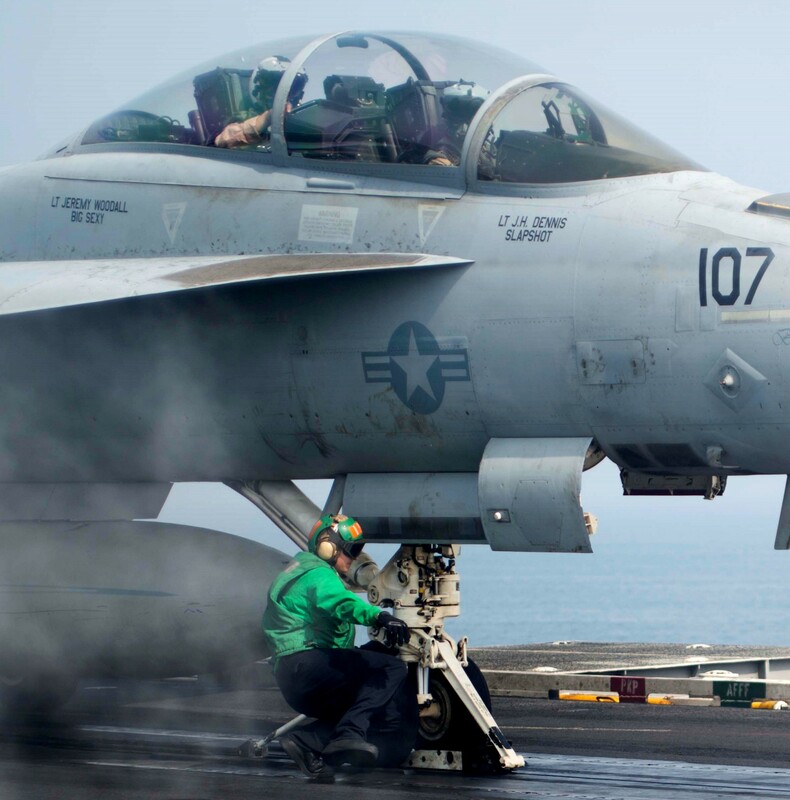 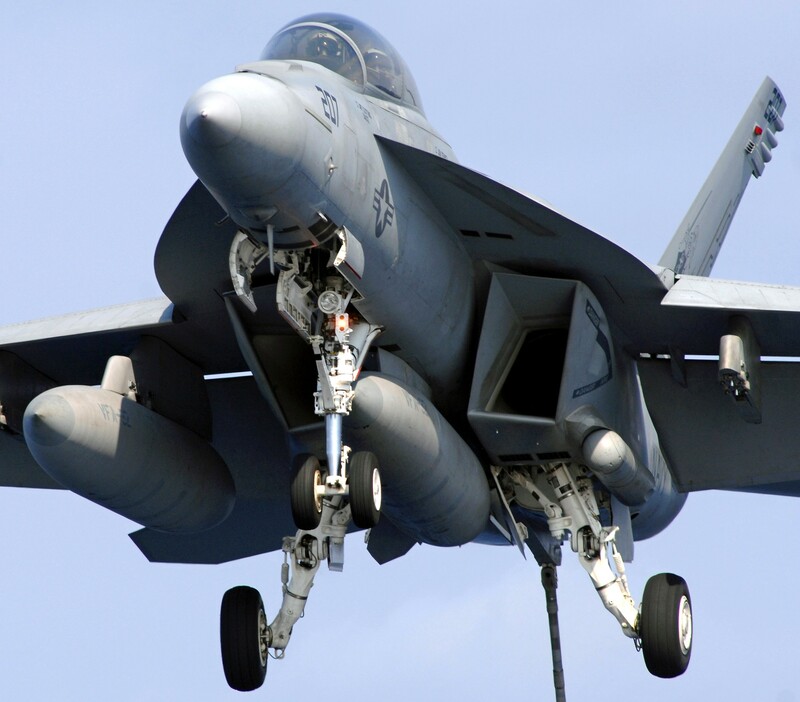 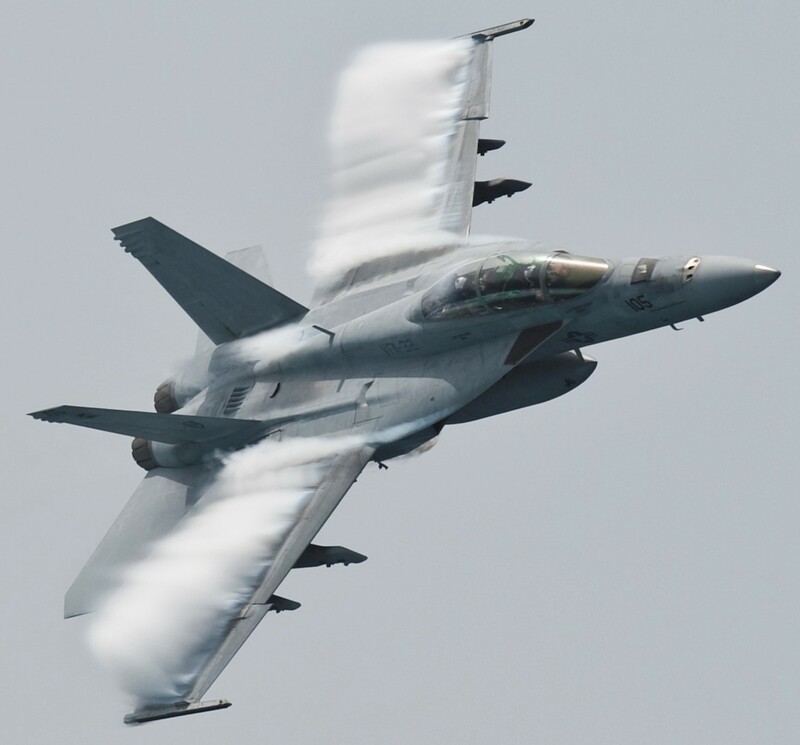 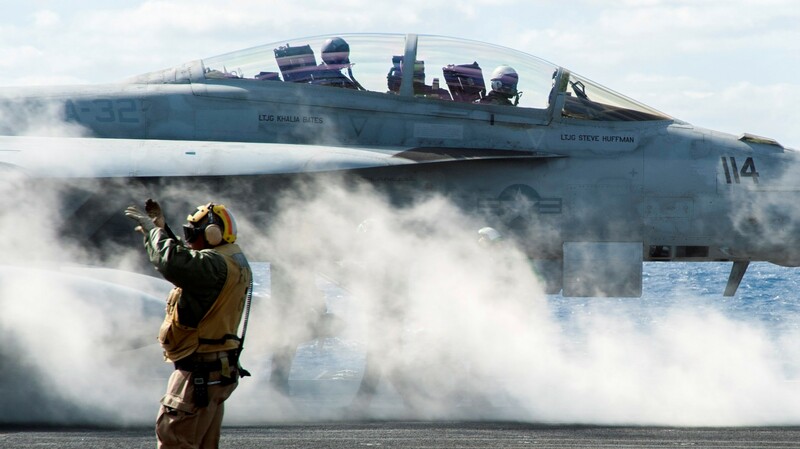 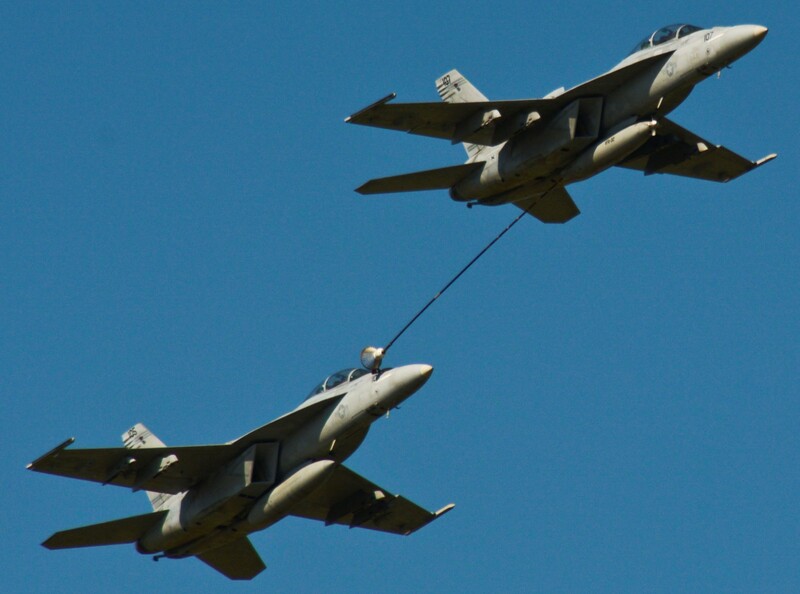 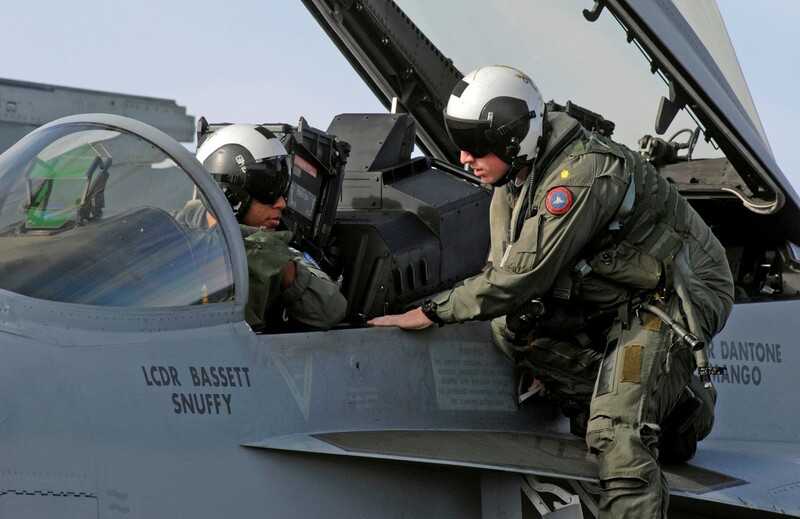 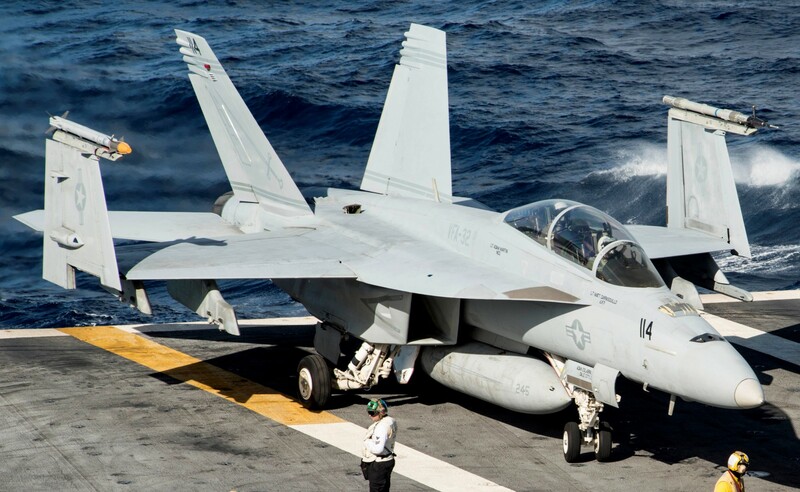 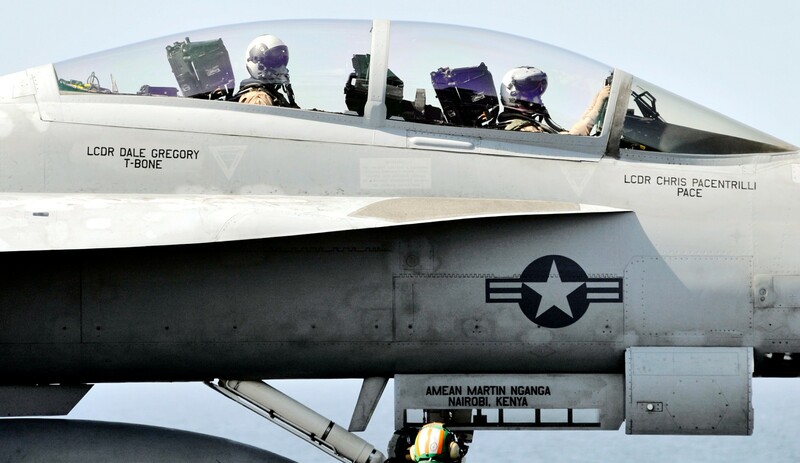 VFA-32 holds an impressive record of aviation safety, flying 7,193 extremely high tempo mishap-free hours. 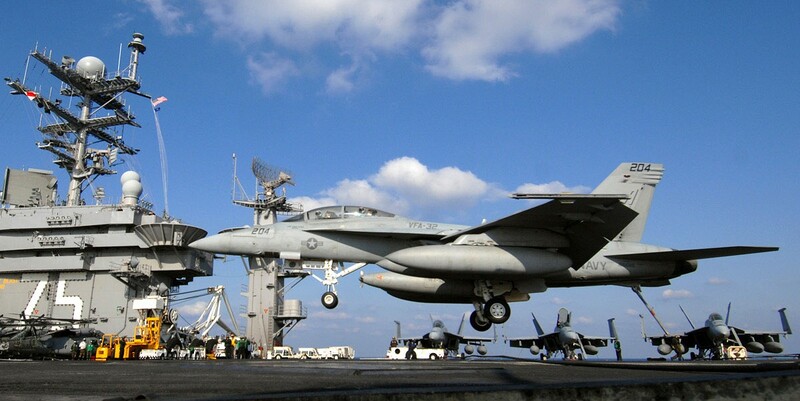 The Swordsmen earned the 2010 and 2012 Secretary of the Navy Safety Excellence Award. 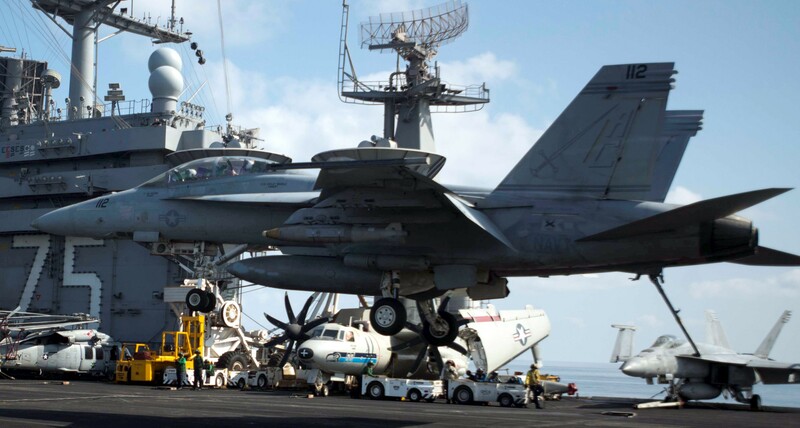 VFA-32 deployed with CVW-3 aboard USS Dwight D. Eisenhower (CVN 69) on June 1, 2016.